It was uncanny, but reflective of thoughtful and caring minds that just days before President Barack Obama made his far-reaching statement about Climate Change on August 3, Caribbean Poet, Author and Intellectual, Ian McDonald, made a point to me that was echoed by the US President. In responding to a commentary I wrote on July 23 entitled, “Climate Change: Time for talking is over”, Ian wrote: “It astonishes me that world so-called leaders continually talk of ISIS (now but not long ago it was Al Qaeda and tomorrow it will be some other threat du jour) as an ‘existential threat’ when a real existential threat like climate change is right under their noses smelling to high heaven”. 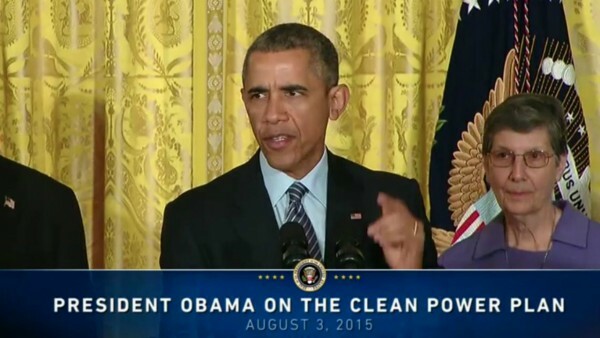 Ten days later in his remarks announcing a “clean power plan” for the United States, President Obama declared: “I am convinced that no challenge poses a greater threat to our future and future generations than a changing climate”. It was a bold and courageous step for an American President to proclaim that climate change is a threat, let alone the greatest threat, to the future of Americans and mankind. Maybe the step is possible because Obama is an outgoing President with no need to pander to big business and vested interests for votes. Nonetheless it is a bold and courageous step that is welcome by small island states, which are at real risk from sea-level rise, and by nations in arid zones that cannot withstand higher temperatures and devastating droughts. At last the Head of Government of one of the world’s worst polluting nations has not only acknowledged that climate change is a real phenomenon but agreed that it poses palpable danger to all mankind. He has accepted that it is “smelling to high heaven”. In that sense, it is a greater peril than ISIS and Al Qaeda for its range knows no boundaries and respects neither religion nor ethnicity. By setting out a plan to reduce greenhouse gas emissions, President Obama has given small islands a chance to continue to exist and to remain homelands for their people. In the Pacific, Tuvalu and Kiribati, have a chance; in the Caribbean, Barbuda and some of the islands of the Bahamas chain have a chance; and in the Indian Ocean, the Maldives have a chance to escape from complete elimination. President Obama has also given the American people an opportunity to make a contribution to saving a planet, they – more than any other nation thus far – have polluted. As he said: “We’re the first generation to feel the impact of climate change; we're the last generation that can do something about it. We only get one home. We only get one planet. There’s no plan B”. Obama’s Clean Power Plan – if it is not derailed by his successor as President or by its intense opponents in the US Congress – will do two very important things. Within the US itself, by 2030 carbon pollution from power plants will be 32 per cent lower than it was a decade ago. That’s a big deal. In the international community, it will encourage other major polluters such as China to curtail their carbon emissions. On this basis, the United Nations climate conference in Paris in December could actually be more than the hot air balloon that it has been in the past. Instead of floating empty promises, it might just actually be able to nail down binding commitments and measureable targets to contain global warming to a maximum of 2C and so avoid catastrophe for small island states and countries such as Guyana and Belize whose coasts are mostly already below the level of the sea. However, no one should believe any of this will be plain sailing. In announcing the Clean Power Plan, Obama pointed out that “long before the details of this Clean Power Plan were even decided, the special interests and their allies in Congress were already mobilizing to oppose it with everything they’ve got”. Legal challenges are already being prepared by coal-producing states and by companies whose profits from production of fossil fuels will be adversely affected. Republican Party Presidential hopefuls have also joined the cacophony of voices shouting down the plan as bad for US business, worse for US strength in the global economy and plain unsound in its science. The Republican critics might just find themselves wrong-footed – not for the first time by this astute Democrat American President. Increasingly, studies in the US show that global warming has become a real concern. If the UN Climate Conference successfully affirms the dangers that climate change poses to the world and major nations actually subscribe to joining the Americans in trying to save mankind’s shared homeland, Republicans in the US will find themselves estranged from the voters. In any event, if fossil fuel production is reduced there will be enormous savings to taxpayers in many countries where trillions of dollars are spent each year on subsidies for such production. According to a new study by the International Monetary Fund (IMF), the US alone subsidies fossil fuel production by US$2,197 per head of population yearly. China’s subsidies are also high at US$1,652 per capita. These pale in comparison to Middle Eastern states such as Qatar, US$6,000 a year; Saudi Arabia, US$3,400 and the UAE, US$3,000. The IMF study opens new avenues for financing the problems of climate change, including building resilience in small countries. It estimates that 2% of global GDP would be required each year and, significantly, ending fossil fuel subsidies would benefit governments by 3.8% of global GDP per year. Doing the arithmetic leads to the compelling conclusion that financing the costs of climate change mitigation and resilience is no impossible dream. What is required is political will. President Obama’s Clean Power plan alone will not rid the world of the full threat of climate change; but at least it has set the direction.